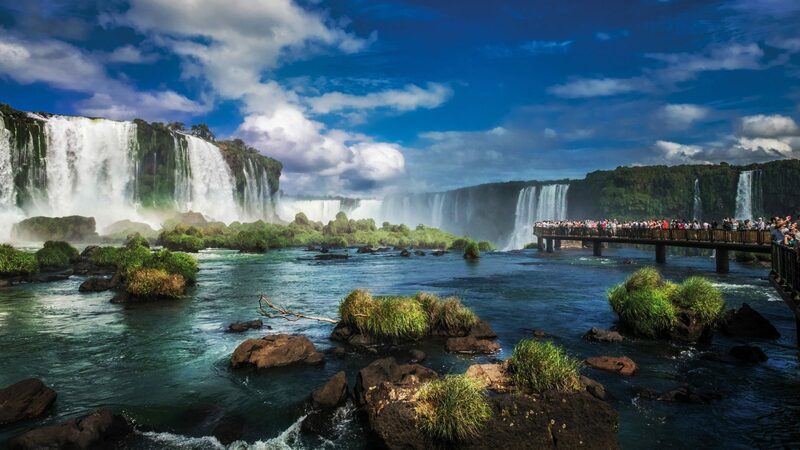 From mighty lguazu Falls in the subtropical north to the thunderous, crackling advance of the Glaciar Perito Moreno in the south, Argentina is home to a vast natural wonderland. Diversity is a big part of it. The country that boasts the Andes highest snowbound peaks is also home to rich wetlands, rust hued desert deep blue lakes, lichen-clad Valdivian forests and Patagonia’s arid stepped. Wildlife comes in spectacular variety, from penguins and flaminghos to capybaras, gaint anteaters, whales, huanaco herds and more. In this vast country, stunning sights abound and big adventure awaits. Argentina is a large South American country with terrain surrounding Andes mountains, glacial lakes and Pampas grassland, the standard grazing floor of its famous beef cows. The country is famed for music and tango dance. Buenos Aires, its big capital, is based on the Plaza de Mayo, lined with stately buildings such as Casa Rosada, the balconied palace. There is no Embassy or Consulate general in Bangladesh. Bangladeshi citizens require to apply in Embassy of Argentina, in New Delhi, India. Fax: (+91) 11 4078 1901.
team will submit the visa application at the embassy in New Delhi. Within one month from the submission, the Applicant will be called to visit the embassy for an in person interview. Personal appearance is required for Argentina visa. But if you can justify the reason for not being able to physically go to the Embassy for interview (you could arrange interview over phone), and only if the Embassy allows, will be able to provide you the logistics support to have your visa stamped (Logistics charge applicable). To get more visa related post Click Here. Original passport having 6 at least months validity. Properly written visa application form. 2 recently taken passport size photos with light back ground. A forwarding letter from any company where the applicant is currently working. A notarized invitation letter from Argentina. a) Forwarding Letter on plain paper if applicant is Self Employed or on Letterhead if Employed. b) Forwarding Letter should be duly notarized. Kindly note that the translation does not need to be notarized. c) If you own the business, please add a copy of your business’ official registration and LAST year’s Income Tax return. a) Bank Statements for last three months with telephone and contact person of the bank must be printed. c) Property Deed in the Applicant’s name Employed. Please note: Dates mentioned in Covering Letter, Hotel Confirmation and ticket should match. Day to Day itinerary on the letter head of the organizer in Argentina. Authorization Letter: Applicant will have to submit an authorization letter authorizing to submit and collect documents. Visa applications are generally processed within 1 month. However, this time frame varies depending on the type of visa requested. Applications should be presented at least 3 (three) weeks before the expected date of travel. Total approximate time is 4 to 5 weeks (4 weeks at Embassy + 7 working days for Passport transit).